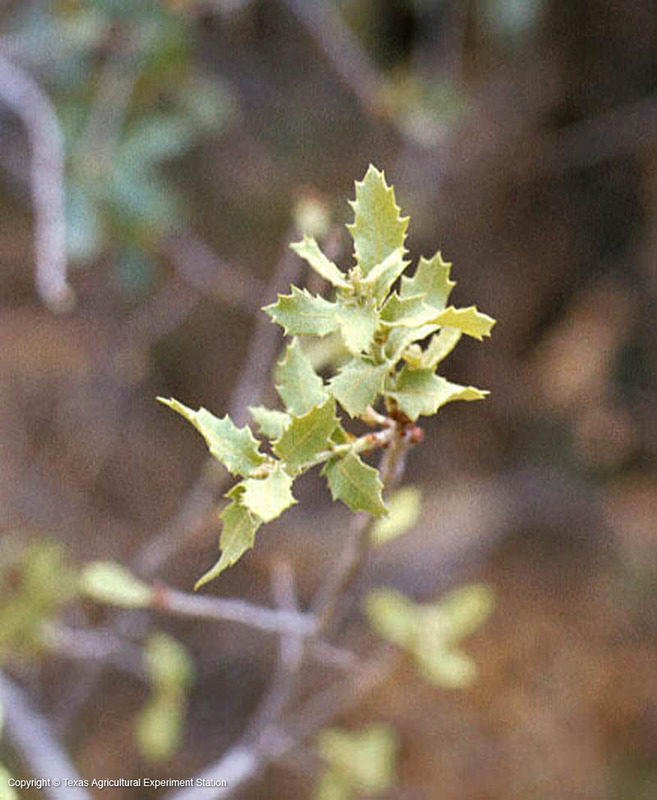 Shrub Live Oak is so uncommon that is usually not shown on Texas plant distribution maps, but it grows in at least three mountain ranges in the Trans-Pecos in west Texas. 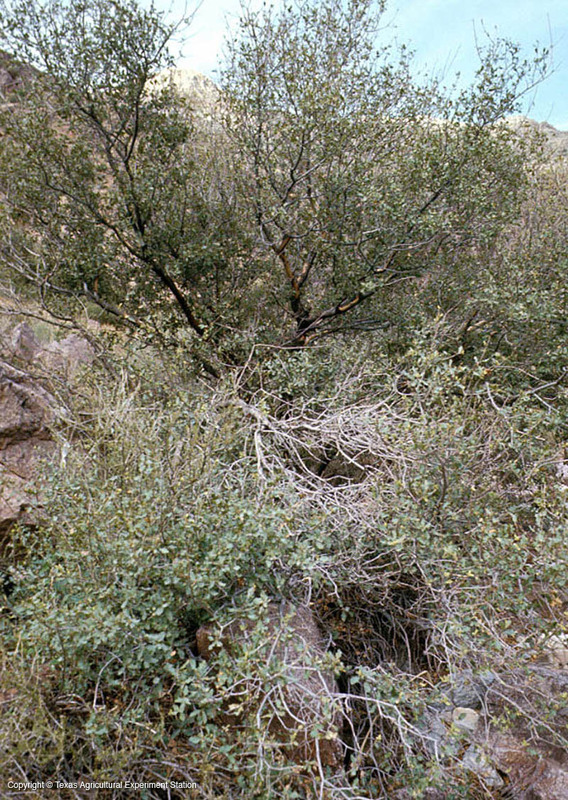 It is a rigid shrub or small tree that grows at moderate elevations of 4,000 to 4,500 feet in igneous soil on rocky hillsides. 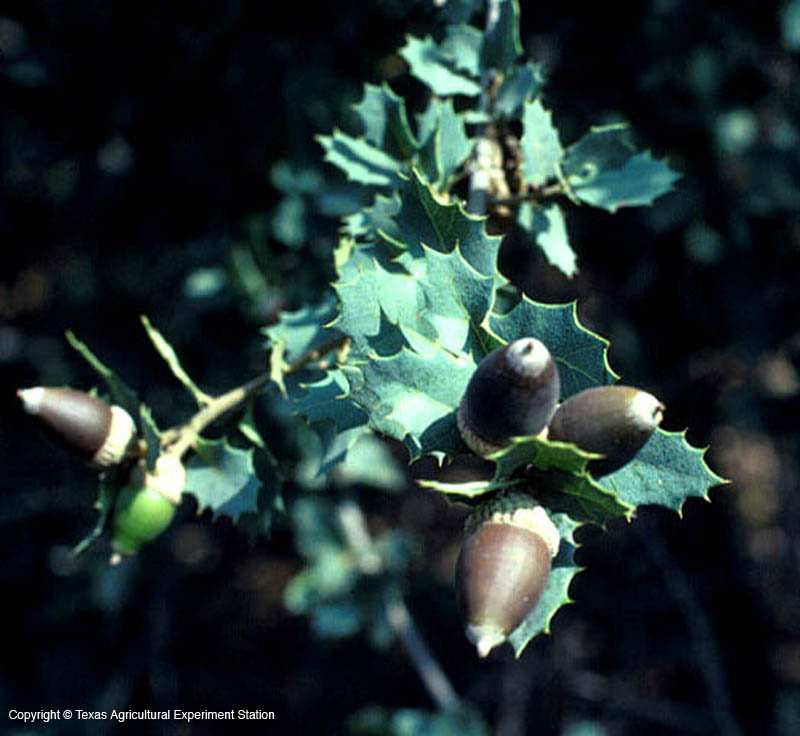 It has small, leathery gray-blue evergreen leaves and is extremely drought tolerant. Its acorns ripen very early, sometimes by mid June.